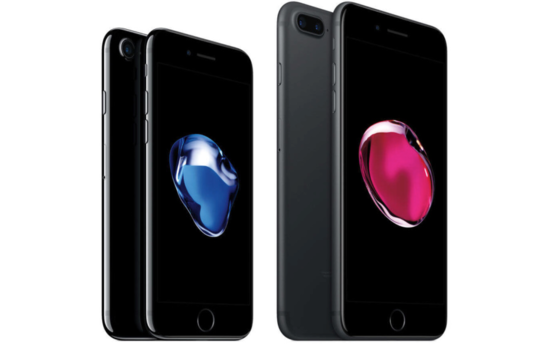 Looking to buy a used or refurbished Apple iPhone 7 Plus Smartphone? We've got them! The iPhone 7 Plus was released along side the iPhone 7 with lots of new features and a larger screen. To date, this is one of our best selling and most popular models because of the speed and size. It features improved water resistance, dual-lens camera with beautiful photos (12MP back and 7 MP front), better battery, and of course a 5.5 inch retina HD display. Deciding on 7 vs 7 plus? There is a big jump in size and also photo taking ability if you go iPhone 7 Plus. If you want the extra screen size, it's definitely worth it for the upgraded dual-lens cameras. Why the iPhone 7 Plus is the BEST iPhone to Buy in 2018/2019! iPhone 7 in 2018 Review Here's a mini review on the iPhone 7 Plus and why I believe it is the best iPhone to buy right now in 2018, going in to 2019! The iPhone 7 Plus is an all-around solid iPhone that even gives the brand new iPhone XS Max and iPhone XR a run for its money in terms of performance. iPhone 7 Plus vs iPhone XS Max SPEED TEST: https://youtu.be/S3mfin1rM_k iPhone 7 Plus vs iPhone XR SPEED TEST: https://youtu.be/aJr-HRexxAc Do you still own an iPhone 7 in 2018? How are you liking it? Become a VIP member to see videos early, get VIP support + other perks: http://bit.ly/2OFfI1Y - Best tech deals (updated daily): http://amzn.to/2qcK0QT Thanks for watching! Let me know if you have any questions. ▬ SOCIAL MEDIA ▬ ▶️ Instagram: https://instagram.com/brandonbutch ▶️ Twitter: https://twitter.com/brandonbutch ▶️ Facebook: https://www.facebook.com/bbsipodtouchhelp ▶️ Snapchat: bb255 ▶️ Email (business inquiries only): ibrandon2526[at]gmail.com ▬ MY GEAR used to make this video ▬ ▶ Camera: http://amzn.to/2kLPqzG ▶ Lens: http://amzn.to/2kNxUa0 ▶ Mic: http://amzn.to/2jP0HLl ▶ Other Mic: http://amzn.to/2kNE1LG ▶ Audio Interface: http://amzn.to/2kNwwnU ▬ Check these OTHER VIDEOS out ▬ ▶️Save Battery Life on iOS 12 (20+ Tips): https://youtu.be/ph6OCuelGAo ▶️Siri Shortcuts in iOS 12 (Tutorial): https://www.youtube.com/playlist?list=PLC-j9MJHTD_GKUTb6bZ8wGQcXoxXNamSj ▶️iPhone XR - Think Twice Before Buying: https://youtu.be/Axg3gA7bJK4 ▶️iPhone XS Max vs Galaxy Note 9 SPEED Test - You May Be Surprised: https://youtu.be/i_vlxL8-Y2E ▶️RIP iPhone X - Why We’ll Miss It: https://youtu.be/F-HP72NvEGI ▶️iOS 12 Final Review: https://youtu.be/vsNM6gskDXo ▶️THE 100K MONTAGE: https://youtu.be/ZPItf7aNt9U ▶️LOADED 2017 iMac 27" 5K Unboxing & Review: https://youtu.be/wPcL05YCWdY ▶️Apple AirPods Review (3 Months Later): https://youtu.be/n0qxmgbCGo8 ▶️9-Year iPhone User Switches to Android: Disappointment? : https://youtu.be/jb0p8BCPsRw ▬ STAY UP-TO-DATE! ▬ Make sure to subscribe to the channel & opt-in for push notifications (click the BELL icon next to the subscribe button) to be notified immediately when I release new videos! ▬▬ If you watched this video and made it this deep into the description, I greatly appreciate you & would love to connect! If you have any questions, give me a shout on social media & I'll answer any question(s) you may have. Have a fantastic day & I'll see you in the next video! Why iPhone 7 Plus is the BEST iPhone to Buy in 2018! Click the button below to add the Apple iPhone 7 Plus to your wish list.